The beiggest change? Amazon states in the description that it is now compatible with Windows Phone 8. A huge sign of things to come. Hopefully in the near future, it will be updated to for specific Windows Phone 8 features. 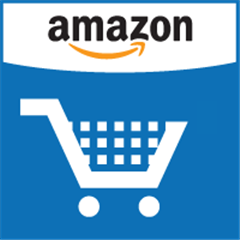 The Amazon Mobile App allows Windows Phone users to quickly search, compare prices, read reviews, share products with friends, access Gold Box Deals, and make purchases on Amazon using a simple, yet elegant, interface. To make on-the-go shopping and price comparison even easier, the Amazon Mobile App includes helpful shopping features that allow users to scan a barcode or type a search to quickly compare prices and check availability. Users may also save time by pinning the Amazon barcode scan tile to their Start screen, enabling them to simply tap the tile to take them straight to the barcode scanner. Shoppers are able to access Amazon’s US, United Kingdom, Germany, Japan and China sites from a single app by simply selecting their desired Amazon country store. Amazon customers have full access to their existing cart, wish lists, payment and Amazon Prime member shipping options, order history, and 1-Click settings. All purchases made on Amazon Mobile are routed through Amazon’s secure servers just as they are on the web. Phone identity: Within the app you are able to place a call to Amazon Customer Service. From the home screen, tap More -> Contact Us -> Call Customer Service, and we will place the proper number in the phone app and dial it. Camera: Bar code scanning requires access to the camera function. Written by: Hyde13 on October 24, 2012.